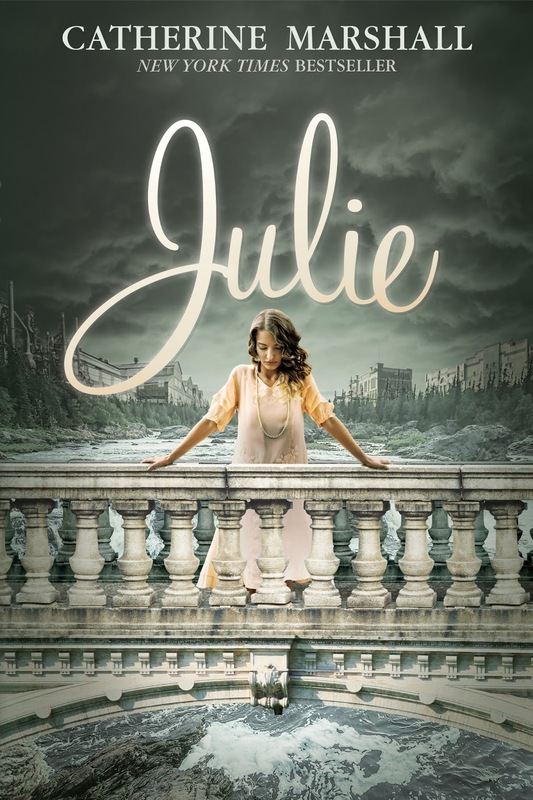 Julie by Catherine Marshall Reissue Plus Giveaway. **Please Note** My review of Julie will be posted at a later date, as soon as I rec’ve the book. I strongly encourage you to pick up a copy of this amazing book. 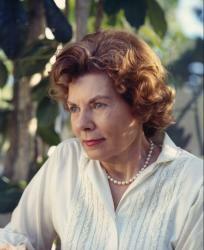 Catherine Marshall will always be one of the best all time authors. Lauren K. Denton is a new author for me, but hearing so many good things about her previous book, I was anxious to read this one. Two sisters, Jenna and Betsy were very close, but the closeness seemed to mean more to Betsy than Jenna. Jenna was happy moving anywhere she de used, trying to find life like she wanted it. But two children should have settled her down a bit. But when she ask Betsy to care for her children for two weeks, which turned into longer than two months Betsy’s husband Ty wasn’t too happy. And it was causing problems between the husband and wife team, even though they loved Jenna’s two girls. I really enjoyed this story. I fell in love with the realistic characters, and the story was so like real, it really made me fell involved in the lives of the characters. Though sometimes I figured out where the story was going, it was ok, because I wanted to soak up every word of the book. Hurricane Season is a good book for a Sunday afternoon read! And I read it that fast! And because this book is one you just want to read over and over, this is a keeper for me because I plan to read it again soon. This is a book I highly recommend! Especially if you are looking for a nice, clean story that you can enjoy and have fun reading. 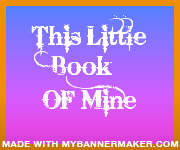 You will enjoy it as much as I did! I received this book from TLC Tours to read and review. I was not required to write a positive review. The opinions I have expressed are my own. I am disclosing this in accordance with the Federal Trade Commission’s 16 CFR, Part 55. For more information on the book as well as the author. –Dawn Crandall, award-winning author of The Everstone Chronicles. This is the first book I’ve read of Carolyn Millers, and it won’t be the last. This first story in the Regency Brides Series centers around Carherine Winthrop and someone who broke her heart many years ago. Jonathan Carlew is back in the picture, only this time it is to take the home of Catherine and her family after the loss of their dad. Tension flies around the house as the new Lord Winthrop takes over, bringing is snooty mother with him. This is an amazing and fun story to read. I did feel bad for Catherine and her sister, but their mom is just too needy! She needs to get over living off every else’s money and accept life as it is for her. But sadly that won’t happen. I did enjoy Catherine and Jon and their tension and their relationship, so as it was, throughout the story. Jonathan is a good man, one that everyone it after because of his money. But though he is generous, he is also very businesslike and level headed with is money. All in all, I loved this Regency story of love and restoration! And I can’t wait for the next story in this series, Miss Serena’s story. I received this book from Kregel Publishers to read and review. I was not required to write a positive review. The opinions I have expressed are my own. I am disclosing this in accordance with the Federal Trade Commission’s 16 CFR, Part 55. Hi, I’m Carolyn Miller, author of ‘The Elusive Miss Ellison’. I’m married, with four gorgeous children, who all love to read (and write!) as I do (except not in the Regency genre – funny, that!). I try to write stories that are fun and witty, yet also deal with real issues, such as dealing with forgiveness, the nature of really loving versus ‘true love’, and other challenges we all face at different times. Leah Otto, marrying Juda Shetler was just a huge mistake, according to everyone in their small Amish community. Leah would never get along with Jude’s twin teenage girls and his small son who misses his mammso much all he does is cries for her. But Leah was determined to marry this man that she loved dearly. And Jude was just as determined to make Leah his wife. But when Jude’s sneaky twin teens overheard a private conversation between Jude and Leah, Jude’s house was disrupted to the point that he didn’t know what to do, and Leah wished that she had listened to her mom when she tried to warn her how Jude’s twins would feel toward her. 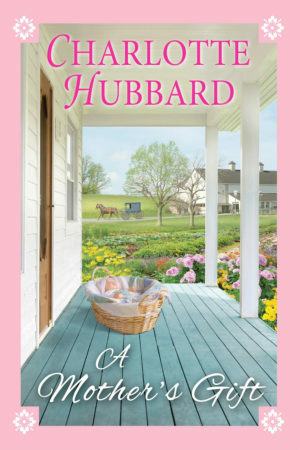 Anout halfway through this awesome Amish story, I had no idea how Ms. Hubbard would untangle the mess called Jude’s household. I cried with Leah, and wanted to wring those twin girls’ necks! I was so glad when Leah finally broke through to little Stevie, and he started trusting her. And not only that, but Stevie was one smart five year old! And he didn’t mind telling what the twins told him, or what he overheard the twins say. I love this little one! For me, this is my favorite so far from author Charlotte Hubbard. A bit different from most Amish books I’ve read. Leah wasn’t the usual Amish Housewife and Jude didn’t care what people thought of her working with her cows, goats, and other farm animals. One thing this story teaches us is that communication is so very important in a marriage or relationship. I loved the way Jude and Leah were able to talk through their problems and struggles, even though it was very difficult and embarrassing for them both at times. And it’s also scary for Amish parents to think of their kids as the go through their time of rumspringa. It’s a cruel world out there for someone who has been so sheltered, even to those who are not Amish. Leah and Jude’s strong faith in God got them through their trying times, and He will do the same for anyone. I appreciate Ms. Hubbard dealing with these issues in this story. And I hope if someone reading this book is going through struggles, Jude and Leah’s story will help them as they go through their difficult journey. I received this book from Goddess Book Tours to read and review. I was not required to write a positive review. The opinions I have expressed are my own. I am disclosing this in accordance with the Federal Trade Commission’s 16 CFR, Part 55. Charlotte Hubbard sold her first historical romance in 1990, and she’s been a slave to her overactive imagination ever since. As she writes, her stories invariably take on a life of their own, different from the way she proposed them: unforeseen characters and plot twists come along, and they keep her guessing right along with her readers! Charlotte has lived in the Midwest most of her life. 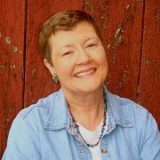 When she’s not writing, she loves touring historic homes, trying new recipes, crocheting, and playing with her Border Collie, Ramona. She’s a Presbyterian deacon, sings in her church choir, and plays in the percussion ensemble. She’s married to a fine man who–bless him–has never once suggested she get a real job! 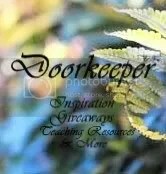 Giveaway…..please click on link below to sign up for this giveaway!